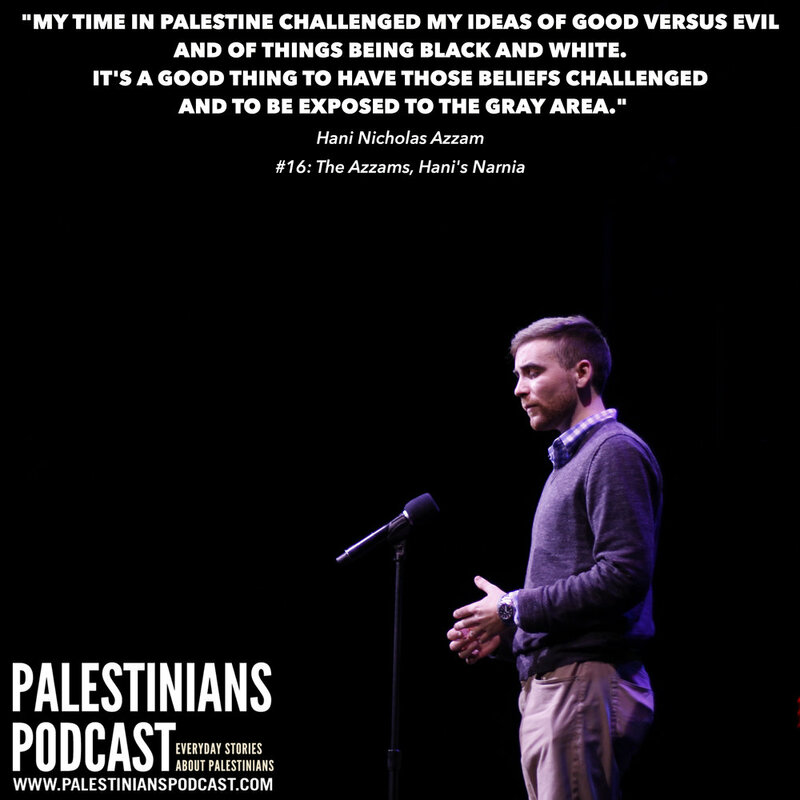 In the final episode of our series on the Azzam family, we hear from Hani Nicholas Azzam and learn about his experiences with and reflections on Palestine. Despite growing up near Boston, Hani found his way to Palestine after college. In his story, told live on stage at Palestinians, Live! in October of 2016, Hani relates his adventures in Palestine to the Chronicles of Narnia in a wonderful and captivating manner. "Like any good story, this one's a trilogy!" To hear more about the Azzam family story listen to Episodes #14 and #15. To learn more about the women in the Azzam family visit our blog.